State-backed Commercial Aircraft Corp of China will change the face of the global aerospace industry if it succeeds in delivering its 174-seater C919 aircraft by 2016, said the chief executive of Europe’s largest low-cost airline. In addition to COMAC, Ryanair is in talks with Boeing about aircraft orders and will meet executives from both the U.S. and Chinese groups later this month, Reuters reports. 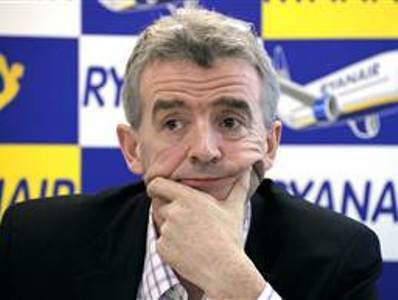 While Boeing is pitching a re-engined version of its 737 single-aisle jet, O’Leary said he was sceptical. “They have not yet designed the aircraft. They cannot tell us what the operating costs will be because it is not designed, they do not know where they are going to build it yet, they do not know when it is going to fly either,” he said. Ryanair still has to take delivery of over 40 outstanding 737 aircraft and that plus flying some grounded aircraft should cover its requirements for the next few years. The airline raised its 2011 profit forecast on Monday. “We would want to be taking some additional aircraft into (full-year) 2015, 2016,” O’Leary said.